Greg DePersio has been a freelance writer and editor for more than three years. Before becoming a full-time freelance writer, Greg began a career as an account executive for FleetOne, LLC, a fuel card supplier, in 2005. 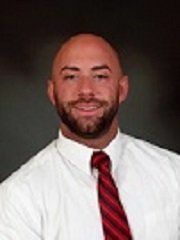 His more than 13-year background also includes expertise in search engine optimized (SEO) website content and marketing materials, as well as management experience for the Nashville Athletic Club. These experiences have given Greg the knowledge base he uses as he breaks down complex topics and writes informative articles. His work appears on sites such as Intuit–QuickBooks, MSN, TheRichest.com, and on Investopedia, where he has contributed more than 300 articles. Greg guides readers through several complex areas of finance including mortgage banking, credit, budgets, savings, taxes, retirement, and investing in forex, currencies, commodities, and equities. You can find his writing listed as referenced work in the book Leveraging Your Financial Intelligence, the e-book 3 Tips for Finding a Job in Private Equity, as suggested reading for online courses, as well as being cited in the Hofstra Law Review. His work for Investopedia appears as reposts on BalancedLivingNews.com, the MoneyShow.com, and RiverviewHomesInc.com. Greg earned his bachelor's degree in English from Swanee–The University of the South.